Preparation is very important especially in getting ready for long distance riding trip. It is ok having a free-spirit, but things do not happen on their own. 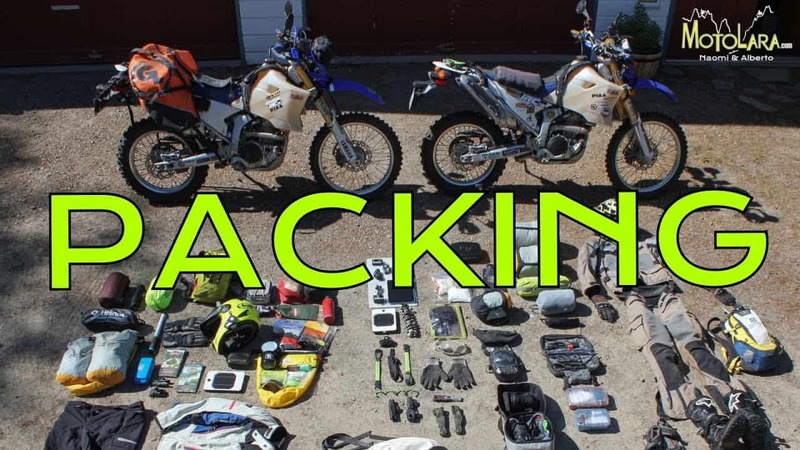 So spend a little time before departure in getting all the things in your motorcycle travel checklist ready, look at possible routes, things to see, and places to stay. A bit of preparation goes a long way to ensuring you make the most of your trip. The checklist below is just for general guidance and you can modify it according to your personal preference. Valid passport and any necessary visas. Driving License (including International Driving Permit – If needed). Copy of motorcycle Insurance documents. Breakdown Assistance / Repatriation Cover (if any) Personal travel / medical insurance. Currency notes: depending on the country that you’re traveling to. A major credit card (Visa or Master card) and/or Debit card activated for overseas withdrawal. Touring Map & Guides – To use if GPS has stopped working. In Case of Emergency (ICE) Contacts list. I would recommend that you make good quality or colour photocopies of all of your documents except your credit cards and keep it in waterproof folder. Basic pain killers, personal medication and prescription drugs. Sunblock, sunscreen, lip balm etc. Additional Engine / Gear Oil. Industrial tapes – for cracked fairings boxes. Epoxy resin and hardener – in case engine cracked (temporary fix). Bicycle loop lock (for optional helmet security). Bike security devices (disc locks etc). Cloths absorbent for drying saddles and cleaning the machine (store in zip lock bag). Puncture repair kit and/or install tyre sealant. Spark plugs & wire tape. Riding Gears. (Helmet, Gloves, Jacket, Boots, Knee/Shin guards etc). Visor & windshield bug cleaner with cloth. GoPro or any action camera set. GPS device with charger and/or GPS app on smartphone. A couple of small karabiners and bungee cords. Leatherman-type multi-tool or Swiss Army knife. Dictionary and/or Google translator app on smart phone. Zip lock clear plastic bags. Rubber straps (Hook end type). If you have any other suggestions to improve the list above, drop them at the comment box below and feel free to share this article via the social buttons.